750+ specialty mothers rings and mothers jewelry items! 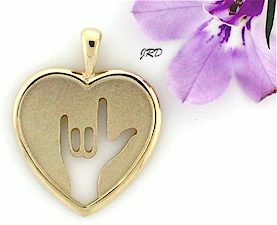 Sign Language- "I Love You"
14k yellow gold cut-out "I Love You" sign design. High polished with frosted texture around the cutout "I Love You" sign. Measures about 3/4" tall including the pendant bail. * Optional chains are available. PLUS delivery time to you. actual size of this piece. Each piece sold separately unless otherwise indicated. Priority Mail is an approximate 3-5 day delivery service once shipped (see production time above.) Express Mail is a 1-2 business day service guaranteed by the US Postal Service. 1/16" 1/8" 1/4" 3/8" 1/2"
� Copyright 2003-16 J. Dunne. ALL RIGHTS RESERVED. Copying from this web site is a violation of copyright law. Pictures and content are for viewing only at this address and remain our property. They may NOT be copied, reproduced or modified in any form or manner. Use of this web site constitutes your agreement to our online store policies and terms. You must be at least 18 years of age to order from this store. We reserve the right to correct errors. 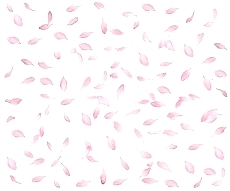 Many of the items and designs are also copyrighted. Orders must be placed through our website- orders placed through cached browser or cached search pages will not be honored. Specializing in specialty gifts & birthstone jewelry for mothers since 2000. Shop any of our jewelry and keepsake stores using one shopping cart!